Doctor Shaking Hands With Older Patient In The Clinic Room. Fotos, Retratos, Imágenes Y Fotografía De Archivo Libres De Derecho. Image 115915156. Foto de archivo - Doctor shaking hands with older patient in the clinic room. 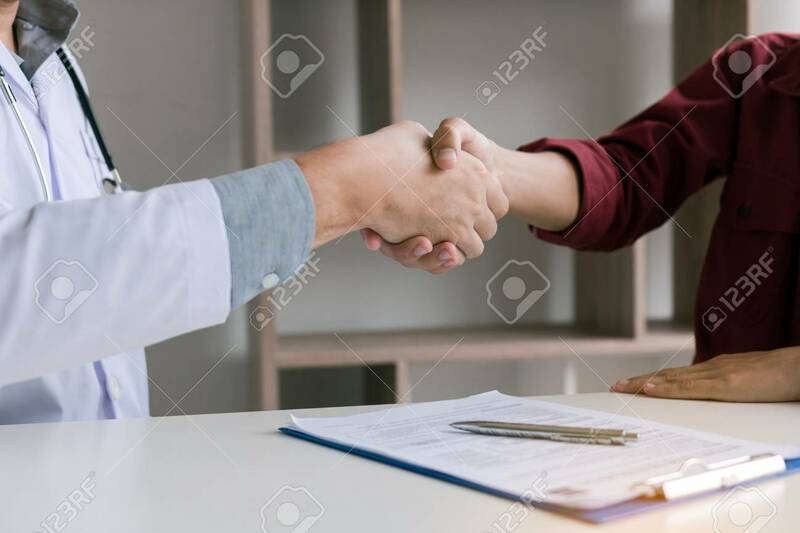 Doctor shaking hands with older patient in the clinic room.